Today I want to share a special book review with you. 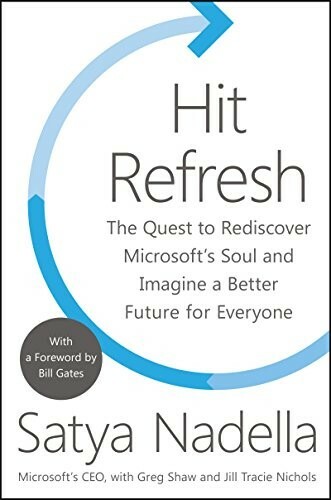 The book is called Hit Refresh and is written by Satya Nadella. As long time readers know I write book reviews on Project and Project Management every now and then. This book review isn’t about Project or Project Management directly, but it is written by the current CEO of Microsoft. And therefore has close bonds with the Microsoft Project and Project Online offering. The book review is also special because it’s a joint venture between me and Cindy a Microsoft MVP for Project. Here is the review. Cindy Lewis and Erik van Hurck join forces to bring you this book review. Cindy Lewis (North America) and Erik van Hurck (Europe) are half a world away but they have actually been working together for many years solving customer problems and sharing ideas. After a casual conversation recently, they decided to collaborate on this book review knowing they’d make the review more thorough by combining them into one piece. Erik chose to read the book version while Cindy selected the Audible version. In terms of selecting the actual hard copy book to read, I wish I would also have chosen to listen to the Audible version. Satya Nadella’s writing style is sophisticated for a non-English speaking native like myself (I’m Dutch). That made reading it in English a bit of an added challenge. That doesn’t in any way mean that I disliked reading the book. In some ways it was even refreshing and an achievement to read through the book. I was highly surprised (astounded, Satya would probably say) and touched by the first part of the book, wherein Satya gives the reader a glimpse into the hardships, challenges and achievements in his personal life. I believe that there are some paragraphs in the book that you cannot read without having warm feelings for the man. And then there is Cricket. I have never seen a match, either on TV or on the field, but it’s funny to read how much impact the sport has had for Satya on his aspirations and leadership methods. In one section he draws parallels between coaching and leadership that will first make you laugh then immediately make you think. Empathy, culture, mutual respect, love for what you do and who you are with; such are the concepts that Satya wants to get across to the reader. At some point halfway through the book I started to grab a pen and underline sentences. It’s a habit I picked up after reading The Miracle Morning by Hal Elrod. 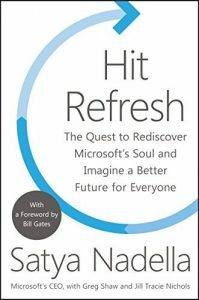 Hit Refresh contains actionable leadership advice as well as a great story on how it came to be that Microsoft is changing its culture. Satya is a great storyteller. The book includes details about his role in leadership as CEO of Microsoft, and along the way we learn a lot about him as a leader. There are a lot of technological advancements happening at a very fast pace. In an attempt to look into a crystal ball, Satya Nadella picks three trends that are getting a lot of focus today. These include quantum computing, artificial intelligence, and mixed reality. The subjects are clearly close to Satya’s heart because the passion is clear as he talks about Microsoft’s (artificially) Intelligent Assistant Cortana and the Microsoft Mixed Reality headset HoloLens. There is a lot to talk about, as Hit Refresh takes a look to the future, past the PC and servers. I would argue that this is a very interesting book to pick up because of the great content and in depth knowledge on Microsoft’s management, as well as the fact it’s written as a biography, with the author (the CEO of one of the biggest companies around) still in his prime. I believe that rarely happens. A positive for the Audible version is that I got to listen to Satya Nadella himself during one part of the book, and they selected a narrator with a similar accent as Satya for the remainder. After my November 2017 visit to Microsoft’s Redmond campus, I learned everyone was talking about the book. I even heard ideas from the book coming out in many presentations from Microsoft employees. It was very helpful to have finished it before I arrived. The information shared helped me understand the tough decisions made by Satya as an individual and by Microsoft as a corporation. Many of those decisions shocked me given Satya’s position at Microsoft. I appreciated the stories that illustrated how not everything will go right as a business and how often one has no choice but to deliver the truth about poor performance and the need to eliminate that portion of the business in order to move forward. The book helped me understand the technology news topics that were hotly debated and the stand that Microsoft had to take and why. For example, when Edward Snowden leaked information from the National Security Agency about government surveillance programs of individuals, the public immediately assumed that access to Microsoft customer data was included as well. Microsoft was questioned about joining forces with their competitor Google to petition for new laws. But, in reality, this partnership is best for all because it will help promote legislation to protect customer data while also cooperating with law enforcement. Satya made me think about the cloud in new and interesting ways. He stretched my brain beyond traditional cloud benefits that people talk about, such as suggesting that the cloud be used for accessing information with multiple devices. I’m now thinking about the three trends that Erik mentioned earlier. I liked Satya’s humble approach. The book was not about how great he is as a leader but more about his journey (that is not over) and how he continues to do uncomfortable things to grow. He shared stories from both his personal and work life to illustrate this concept. A clear takeaway from this book is that vision and culture can’t fight each other if your business wants to succeed. My final recommendation is to add this book to your reading list, you will not be disappointed. If you would like to obtain the book yourself, below are some links to help you find it or you may check your local bookstore. 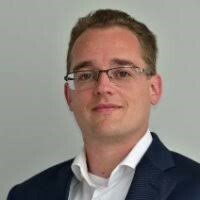 Erik van Hurck is a Senior PPM consultant for Projectum, a western European Microsoft Partner with offices in Denmark and The Netherlands. As such, Erik assists enterprise customers to adopt the new Project Online cloud solution for Project and Portfolio Management. Erik has a personal blog (this blog) and is also a writer for the Microsoft Project User Group (www.MPUG.com). 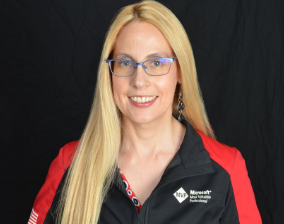 Cindy Lewis is a Microsoft Project MVP and an expert in scheduling with a long history in project management. Cindy believes in helping customers jump start their knowledge in a topic and continue to grow on their own after she departs. Her training philosophy is known as the 4 Pillars of Success which is also the name of her company: www.4pillarsofsuccess.com.